‘A Tough Nut to Crack!’. This campaign alone won 6 Awards at the Integrated Direct Marketing Awards for creativity, innovation and results. 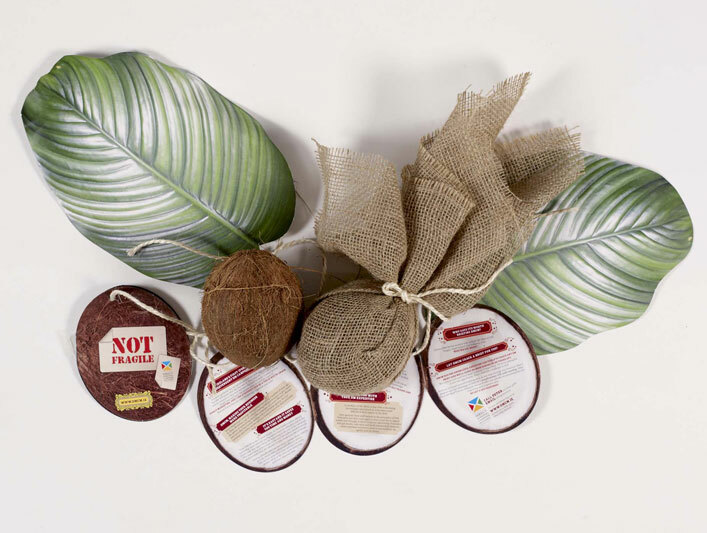 40 coconuts were sent out which yielded 21 inbound responses and a further 19 from outbound telemarketing (so a 97.5% response!). 6 sales were made in year 1 totalling €53,000 on a spend of just €1,000. 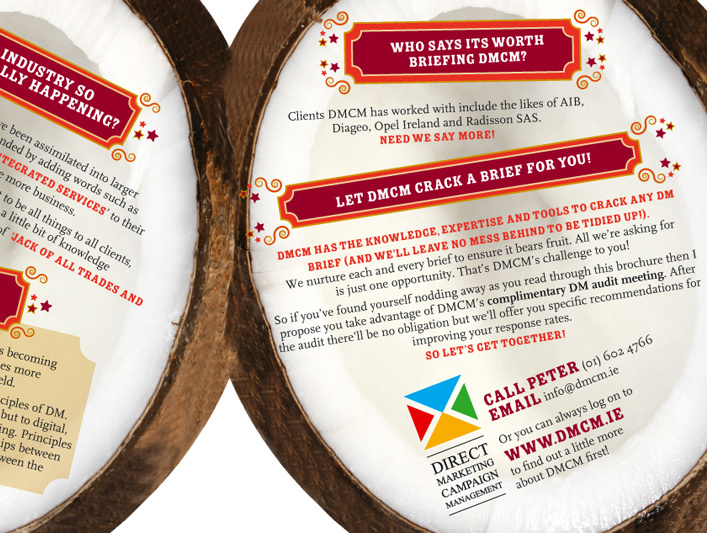 DMCM is still working with two ongoing long term clients as a result of this campaign! 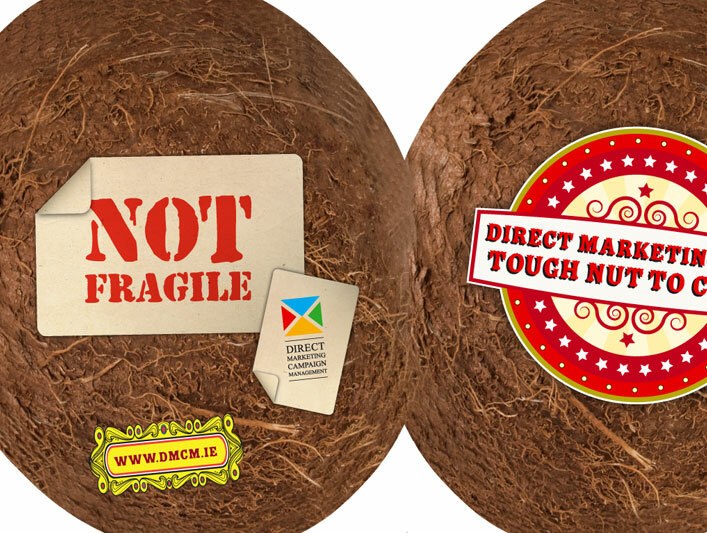 DMCM was finding the market incredibly difficult before this campaign was initiated, both as a relatively new business and having to compete with larger established agencies. This presented an immediate challenge not just in generating awareness for DMCM but also in terms of available budget to compete with these agencies from a marketing point of view. The challenge was to generate significant revenue on a shoestring budget! 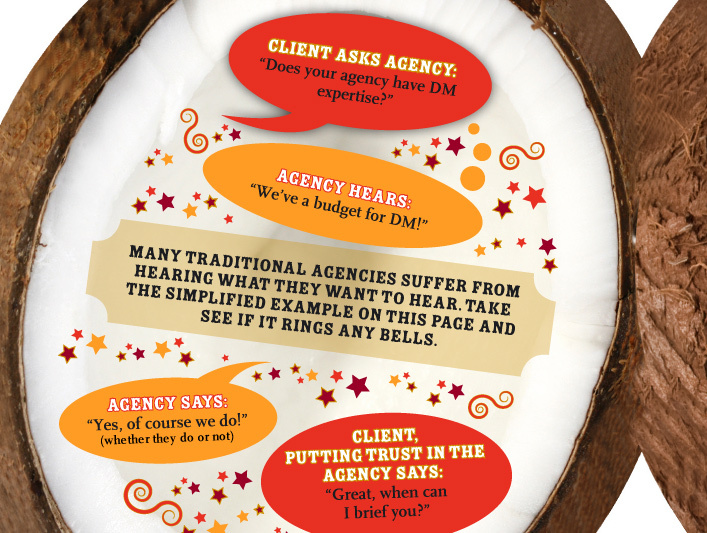 Having said that research indicated that many clients were finding agencies increasingly unwieldy in terms of the amount of time it was taking to execute campaigns, their cost and the fact that creative was taking too long to turn around and didn’t always ‘crack’ the client brief first time round! From a strategic point of view indications were that traditional agencies had too many people involved in the campaign process and a sort of ‘Chinese Whispers’ existed that didn’t always serve the client well in terms of both the amount of time it took to execute a campaign but also the associated cost. 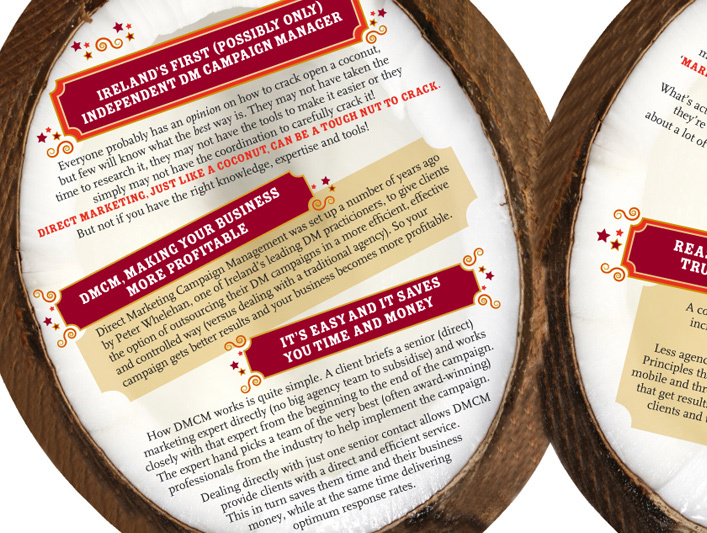 DMCM had developed a unique low-overheads business model based on clients dealing directly with just one key contact (rather than a big agency team). This was immediately appealing to clients as it allowed campaigns to move faster, be completed more quickly and therefore cost them less. A key point and element to the campaign, which formed part of the USP, was that many agencies now don’t have the in-depth skills and expertise in direct marketing. With increasing fragmentation of media, the specialist in-depth DM expertise that was once prevalent across agencies now often isn’t there the way it once was! The rationale being that DM is an increasingly Tough Nut to Crack! This concept formed the basis of the highly creative campaign approach.